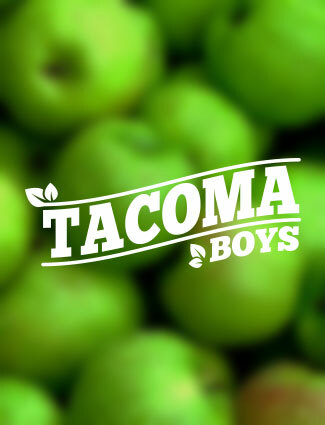 Tacoma Boys is a small chain of fresh produce and gourmet foods markets in the South Sound area. 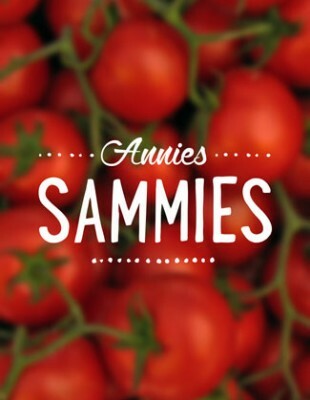 The unique character of the markets themselves served as great inspiration for creating a concept logo that was quirky and friendly. 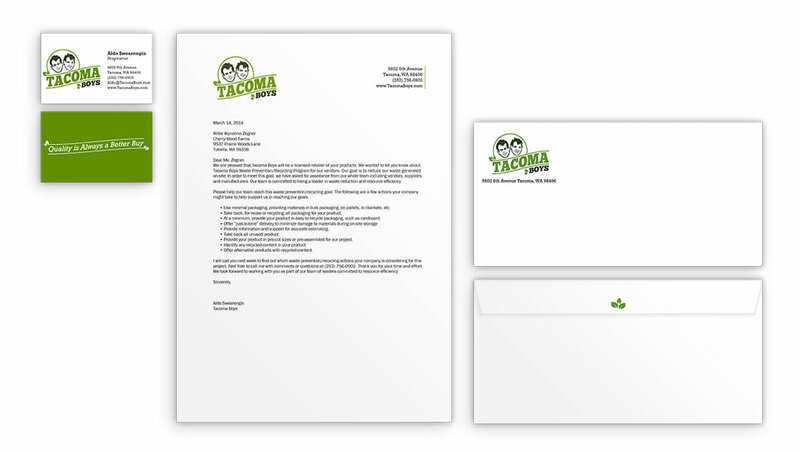 When designing the branding and identity for Tacoma Boys, balancing the fun attitude of the company with the required professionalism of a business was an interesting problem to solve. 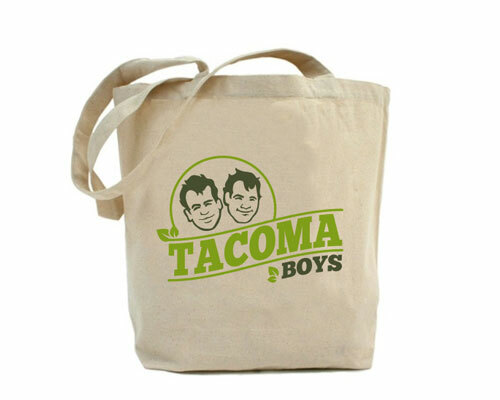 The logo was inspired by the two brothers who first started Tacoma Boys as a roadside stand selling fresh produce. 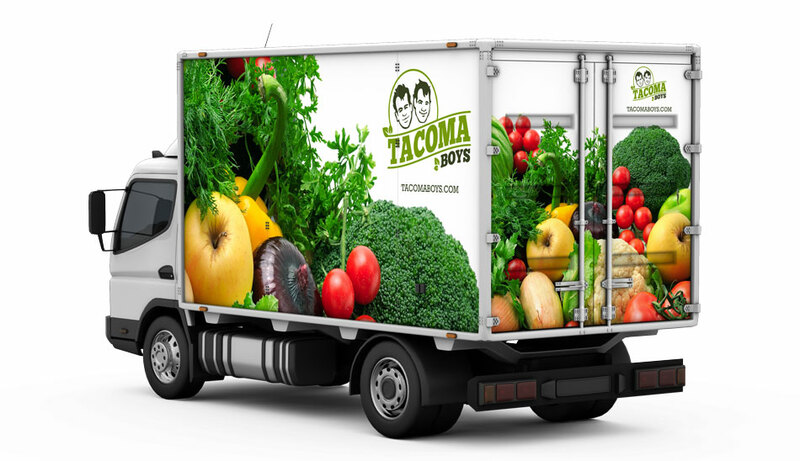 The palette of the logo speaks to that history of the company and to what Tacoma Boys is currently best known for – fresh local produce. 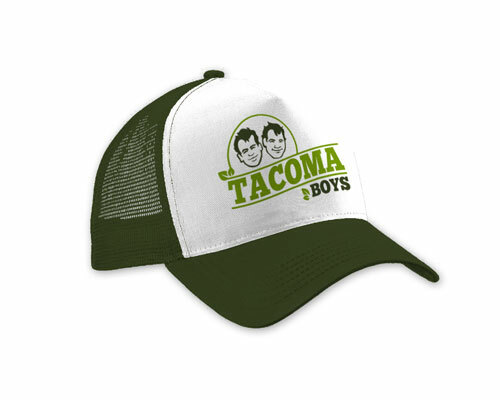 The light green and dark green colors of the logo were specifically inspired by Washington state green apples. 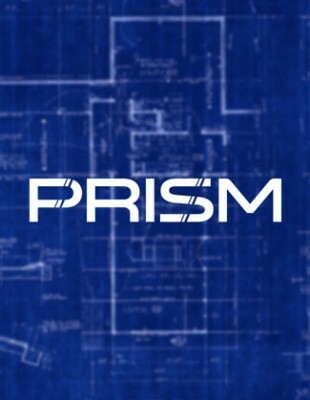 A 12-page brand manual addresses palette, typography, appropriate logo usage and styling, photography style and tone of voice.